Baked Salmon Salad is so versatile you can use it as an appetizer spread with crackers or you can use it as a spread for sandwiches. What I love most about this Baked Salmon Salad Spread is that the flavor isn’t too fishy tasting, which for me can sometimes be a turnoff. 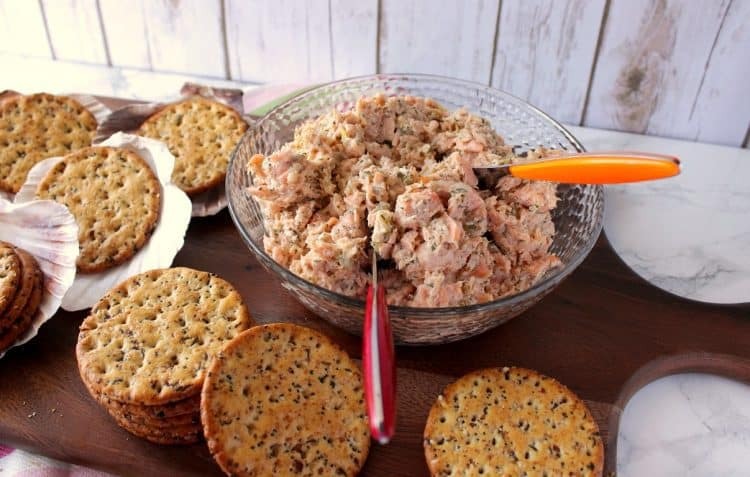 However, the mild flavor of this Salmon Salad Spread is balanced nicely with bright, fresh lemon zest, dried dill weed, and a touch of sweet pickle relish. **Please Note – The printable recipe card with detailed instructions, complete ingredient measurements, and nutritional information for making Baked Salmon Salad is available near the end of this post. If you’re intimidated by cooking fish, don’t be. Baking the salmon for this Baked Salmon Salad couldn’t be easier than placing the fish on a baking sheet, seasoning the fillets with salt and pepper and popping them into a preheated 375-degree oven for 15 minutes. Remove the fish from the oven, allow it to cool, and then flake it with a fork. Place the 1 pound of salmon fillets on a baking sheet and season with salt and pepper. Bake the fillets in a preheated 375-degree oven for 15 minutes. 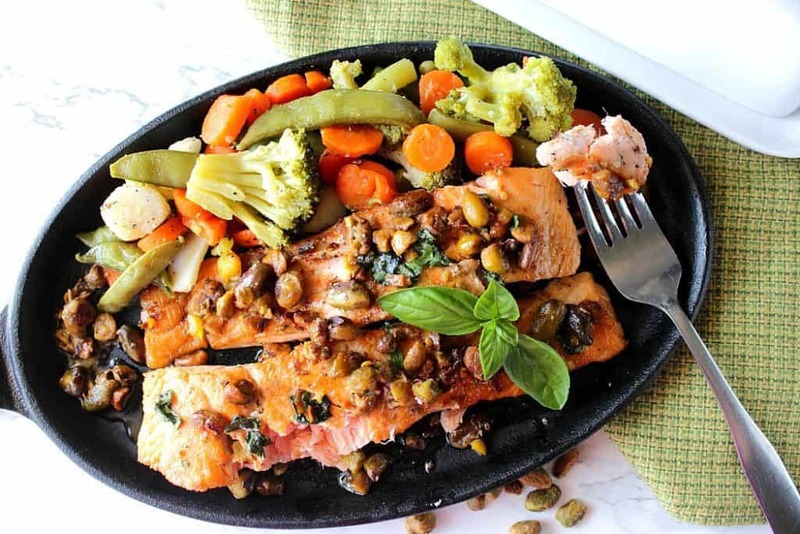 Remove the salmon from the oven and allow to cool before flaking it apart with a fork. Place the cooled, flaked fish in a medium-size bowl. Add the zest from one lemon, dried dill weed, and Old Bay seafood seasoning. Add mayonnaise, sweet pickle relish and garlic powder. Refrigerate for 2 hours to marry the flavors and then use the spread on crackers as an appetizer, or on your favorite bread for sandwiches. 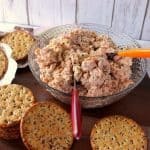 **The following Amazon.com items are some suggested products I’ve chosen that will aid you in the making (and serving suggestions) for this recipe of Baked Salmon Salad Spread if needed. 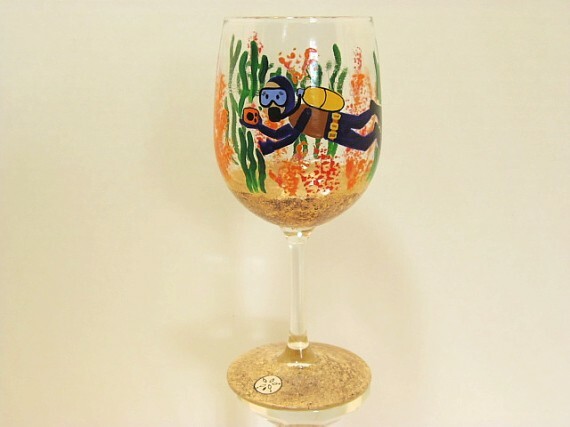 By clicking on the photos, you’ll be taken directly to Amazon.com website if you’re interested in purchasing any of these products. You are in no way required to do so, and you will not be charged in any way unless you decide to purchase a product. Below is the printable recipe card for today’s Baked Salmon Salad. If you’ve enjoyed this recipe and look forward to making it (or have already made it), I’d appreciate if you’d take a moment to give it some feedback by way of stars near the comment section at the end of this post. Thank you so much! 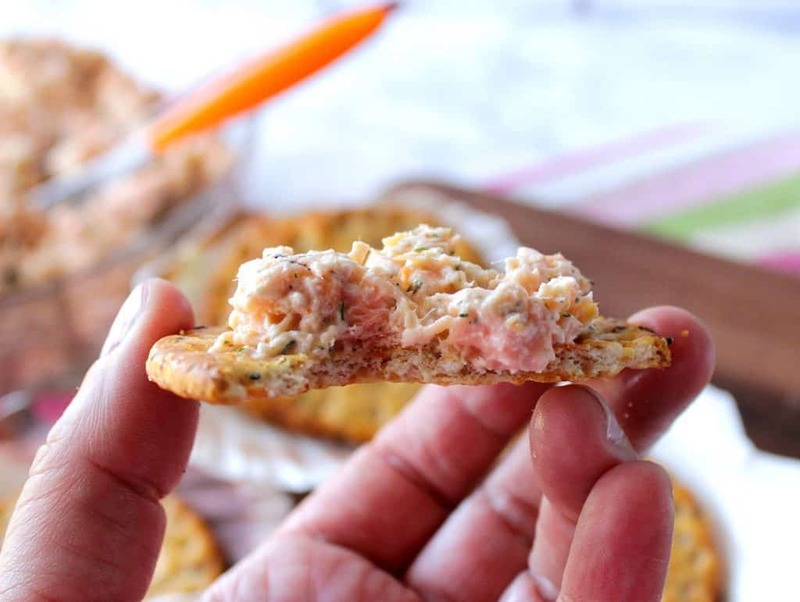 Baked Salmon Salad Spread is so versatile you can use it as an appetizer spread with crackers, or you can use it as a spread for sandwiches. Place the fish fillets on a baking sheet and season with salt and pepper to taste. 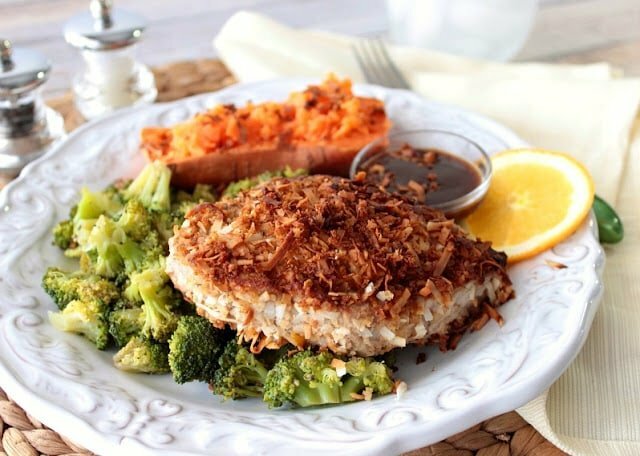 Bake the fillets in a preheated oven for 15 minutes. Remove and cool. 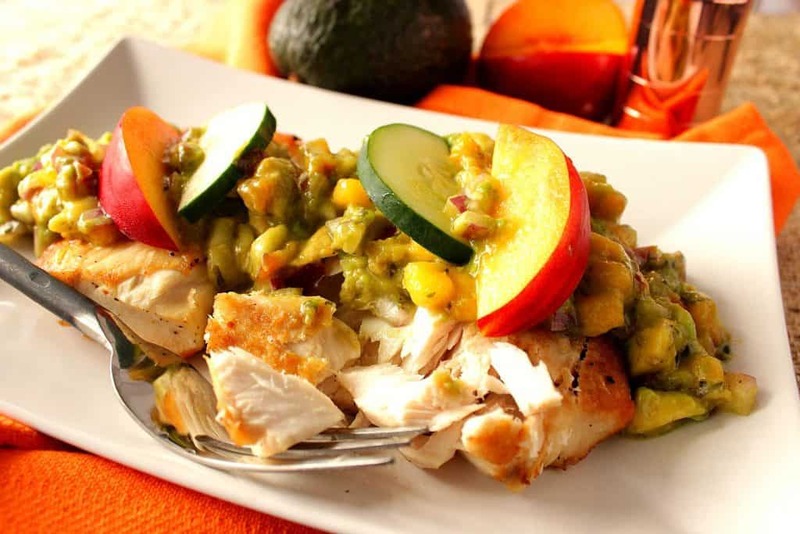 Flake the cooled fish with a fork and place in a medium-size bowl. Add the lemon zest, dill weed, Old Bay seasoning, mayonnaise, sweet pickle relish and garlic powder to the fish and mix well. Use the spread for crackers as an appetizer, or as a sandwich filling. I sincerely hope you’ve enjoyed today’s recipe for Baked Salmon Salad as much as I’ve enjoyed bringing it to you!! 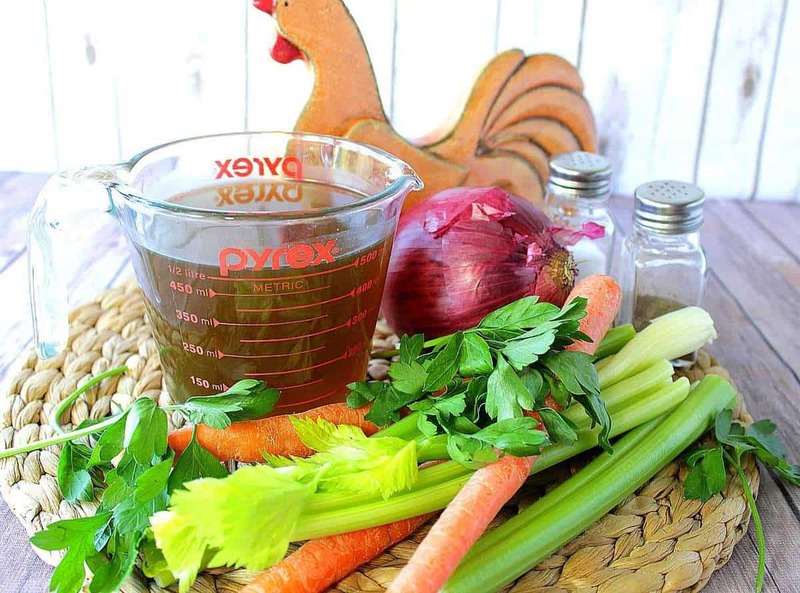 Should you have any questions regarding this recipe or anything else you see on my site, please don’t hesitate to contact me directly, or leave me a comment in the comment section below. It is always my distinct pleasure to get back to you with a reply just as soon as I possibly can! omg these photos are fabulous and I cant wait to try this spread! Thanks Renee! Well, this is happening–with chicken! And I still like to use Old Bay–so much flavor! This is creative! Nice pictures too! 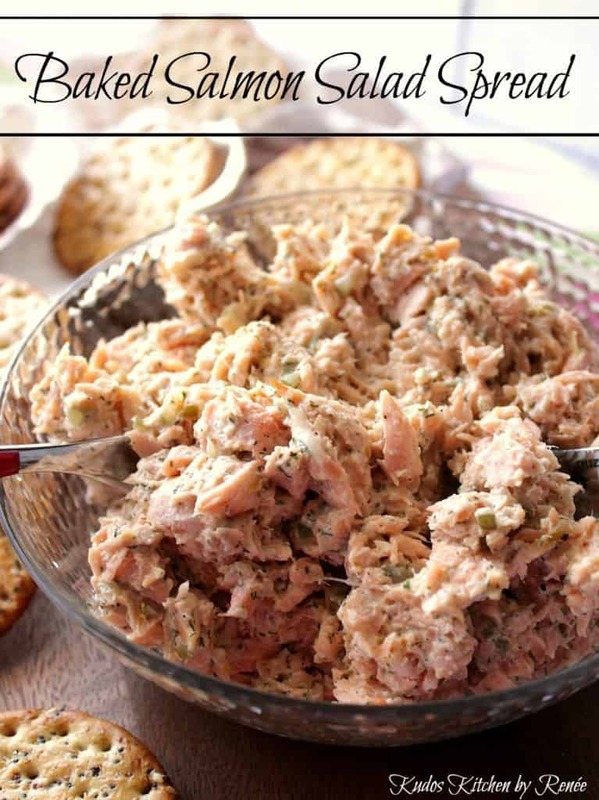 I love making salmon salad for lunch and this recipe looks so much better than mine! 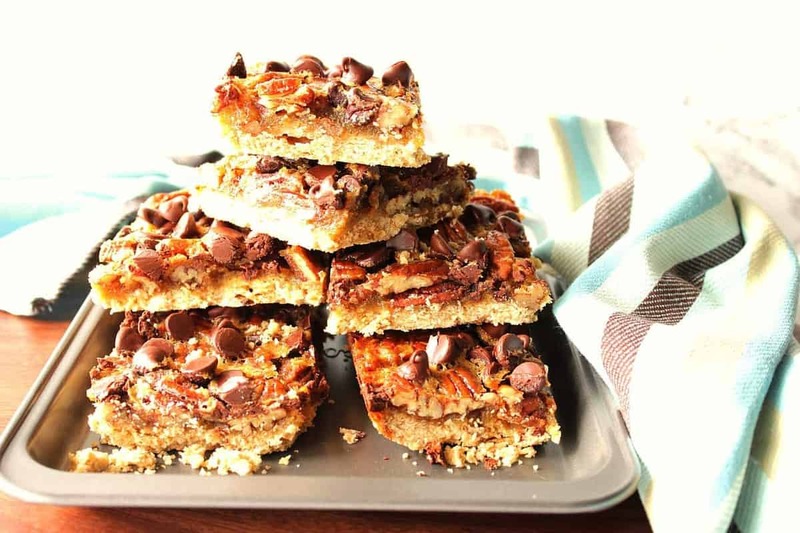 How long do you think it would keep in the fridge if I made a batch just for myself? Well covered, I bet it would last 4-5 days. This salmon salad was so good, it brought me right back to my childhood. I will definitely make this recipe again! Awesome! Thanks so much, Jillian! 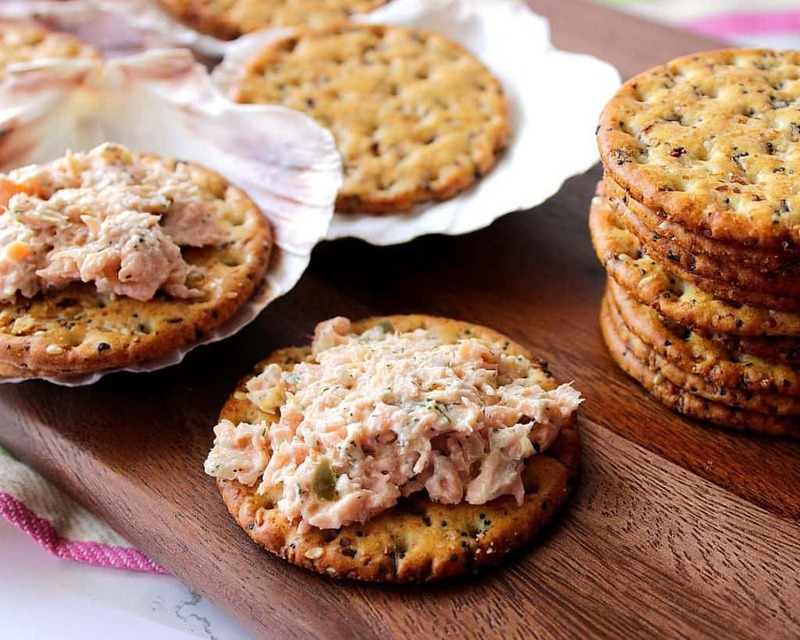 Relish, dill and lemon, when combined with salmon brings an amazing dish!